Can Snapchat be of any use for programmers? I’ve tried to use Snapchat for 4 times now. The first time, I installed it after hearing that it’s a big thing among mobile users. I couldn’t even leave the first screen so I shrugged and quickly left it. Not for me. The second time happened after a few months. I follow Gary Vaynerchuk on multiple channels and he said that Snapchat is his bet for the social medium of the future. I trust his instincts. This time, I spent more time, maybe like 30 minutes. I was able to leave the first screen and navigate a bit. I couldn’t understand how it can be useful. This time I read more about it and I understood that things disappear after 24 hours. WTF, Gary? I left. The third time was again because of Gary. This time, Gary was actually active on Snapchat, so at least I’ve had someone to follow and watch. A typical lurking phase. This time, I stayed with Snapchat for longer, being just a passive consumer of the Gary lessons. Thanks to that, I learnt how to use Snapchat and how Gary uses it — as a life sharing tool. I became more and more interested in the phenomenon of Snapchat. As a passive consumer, I didn’t really see that much value — it was OK, but not much more than that. Definitely not the kind of a hype that it currently has. I started following more people but they were either some boring celebrities or people talking about topics that are not so much in my interests. Then I realised that the big problem was the lack of my topics — things around programming/IT. 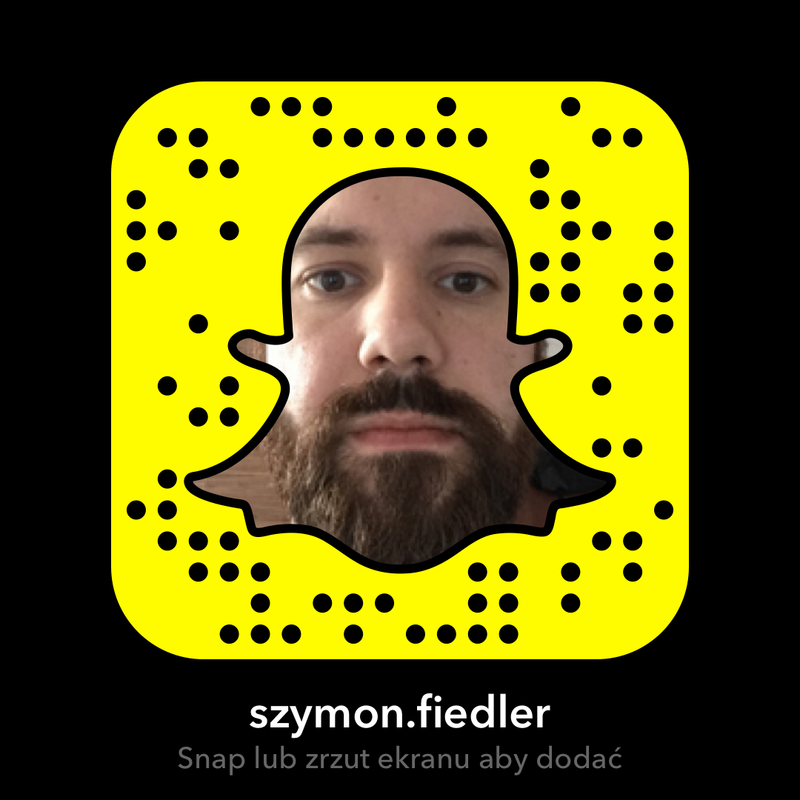 I couldn’t find any programmer on snapchat. Snapchat is considered to be a tool mostly for teens and celebrities. When I asked some programmers if they considered Snapchat they usually just laughed. I remember that some of the programmers were also sceptical about Twitter years ago. Not all of us, but many were not sure how 140 char limit can make sense. Today, Twitter is totally OK for many of us. Some of us can’t live without Twitter! So maybe, just maybe — we don’t see the full potential of Snapchat for programmers — I thought — and maybe, just maybe there is some potential. The starting problem is the typical chicken&egg problem. Programmers won’t join Snapchat because there are no other programmers to follow and to start the lurking phase. There are no programmers posting anything technical to Snapchat because no one would find it useful. That’s why I decided to make an experiment. 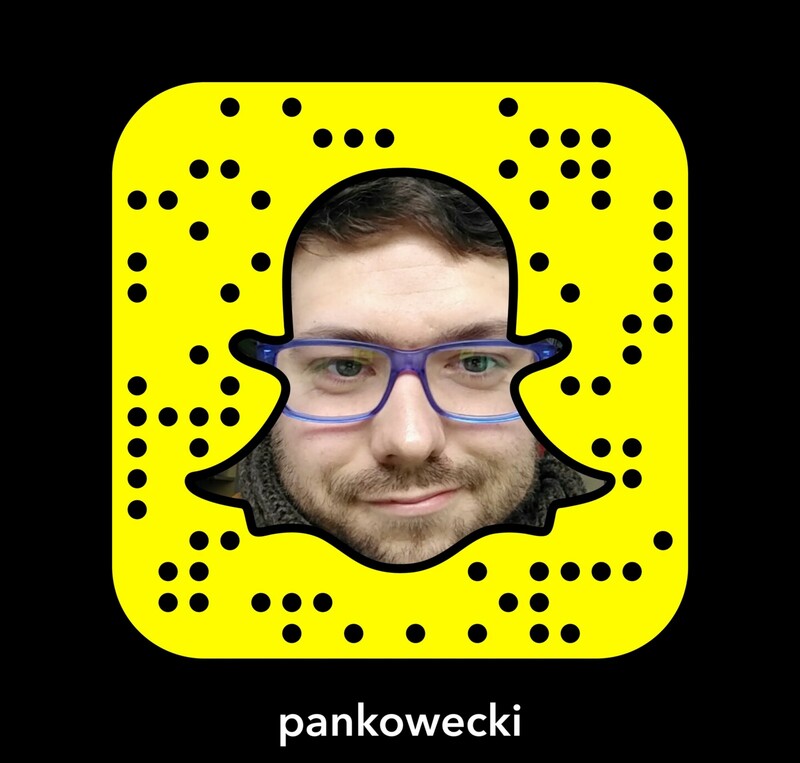 I will be that programming-oriented snapchatter who might be worth following at the beginning. I started posting snaps without knowing how to do it well. Then I made the experiment more public by posting about it on /r/ruby and by “promoting it” at our local Ruby conference — wroc_love.rb. This way people could see some of the things organizers/speakers/attendees deal with during the conference. Surprisingly, this actually worked. People started to follow me and I quickly reached a level of ~60–70 views of my videos. Some other active developers joined as well and the conference had this hidden, ongoing topic of Snapchat. It was funny to see people sharing their snapcodes at the venue. It’s hard to say how many people actually stayed with Snapchat. There were definitely some who quit very quickly. Snapchat can be very weird at the beginning and people are put off by the UX. Still, I keep the previous ratio of ~60–70 views per my video. I don’t event want to declare that I will stay with Snapchat for much longer. I started to love it but this may change if there’s not many programmers around. What I can declare is that I will stay here for at least some weeks/months to give you the excuse to join and lurk. As long as you watch, I’ll be posting some dev-oriented content. If people are not watching then I’ll stop. That’s actually one very cool thing about Snapchat. Posting to my story (you’ll learn quickly about it) is not as invasive as in other social media. If I post to my Twitter and you’re one of my 3500 followers, then it will appear in your feed. If you post to FB, then some algorithm takes place, but chances are that my post will be also visible to you. This is natural to us, but Snapchat took a different way. Snapchat doesn’t really have the concept of a feed as we know it from other social media tools. The closest thing is the concept of stories. However, they’re not like one, big feed. Instead, they are simply a list of people you follow. If someone from the list posted anything recently, they will be at the top. This is a small thing at first, but it makes a big difference. You need to specifically tap on my name to see my updates. There’s nothing invasive here. For me, as the creator here it’s a cool thing. If I have a view from someone (I can see who watched the pic/video) then it means they actually were interested to see my content. The fact that people need to specifically choose to see my updates creates another effect — a stronger attention than in other social media tools. This is also increased by the fact that all the things you post to your story disappear after 24 hours. At first, this puts people off. In the world, where disk space is almost free — why would you make things disappear? There’s some crazy thinking here, but this trick works very well in practice. First, if you know that things disappear, you put more attention to what people post. Second, you come back to the tool more often. BTW, why are we thinking that it’s crazy that things disappear after 24h and we don’t think it’s crazy that whatever we post in other social tools stays forever in the internet? From the creator point of view, knowing that things disappear creates less pressure on me. I don’t care if I have nice clothes or if my hair are OK. I just record and post and that’s it. They call it an ephemeral social media platform. It’s weird, but it has some nice effects. As my friend Robert puts it — on Facebook people create their “perfect” image on their profiles. Before you post a photo, you check if it’s cool enough. The same with Instagram. Here, on Snapchat, it’s harder to be perfect. You are the more true you here. You just post. You don’t need to be perfect. I’m quite active with blogging, but I’ve always had a hard time to produce a video. It wasn’t about being shy (well, partially), but more the “ceremony” needed to actually post something to YouTube. So many clicks and typing, just to post a 1-minute video. On Snapchat, it’s just one button to hold for 10 seconds, then one tap post to my story and that’s it — it’s live. Posting videos was never as easy for me. You can create a snapstorm — a series of snaps which watched together (as they usually do) make a lot of sense as a full story. There’s probably some limit to the number of snaps in such a snapstorm, but we’re talking about N 10-seconds videos which are easilly skippable (just tap). Snapchat can be used as a life sharing tool. I’m not using it that way. I post mostly dev oriented stuff, but I don’t post my family, my food. I may occasionally post photos from conference parties. I also post sometimes about chess which is my other passion. 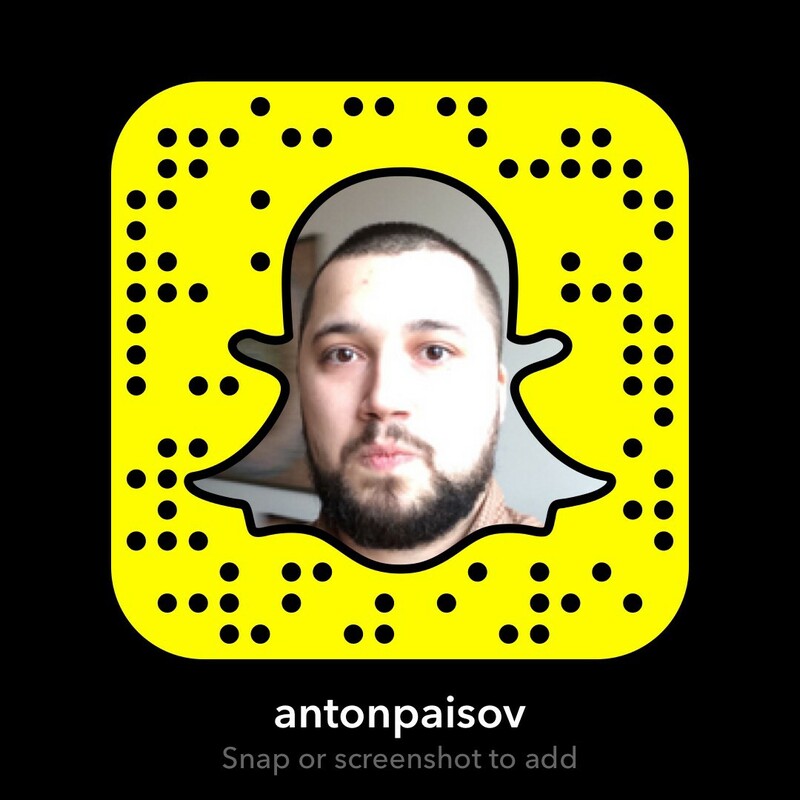 I try to find things that are similar in chess and programming and share the thoughts on Snapchat. I’m a big fan of remote work, so I try to show a life of a remote company CEO — I live in the forest, so there’s some nature surrounding me that I like to post. In fact, most of my snapstorms is the talking-head format while I’m walking in my forest. I’m no longer a full-time programmer, but I still spend a lot of time coding or reading other people code. Whenever I can I post pictures of that code to Snapchat (when it doesn’t violate the rights of our clients, of course). 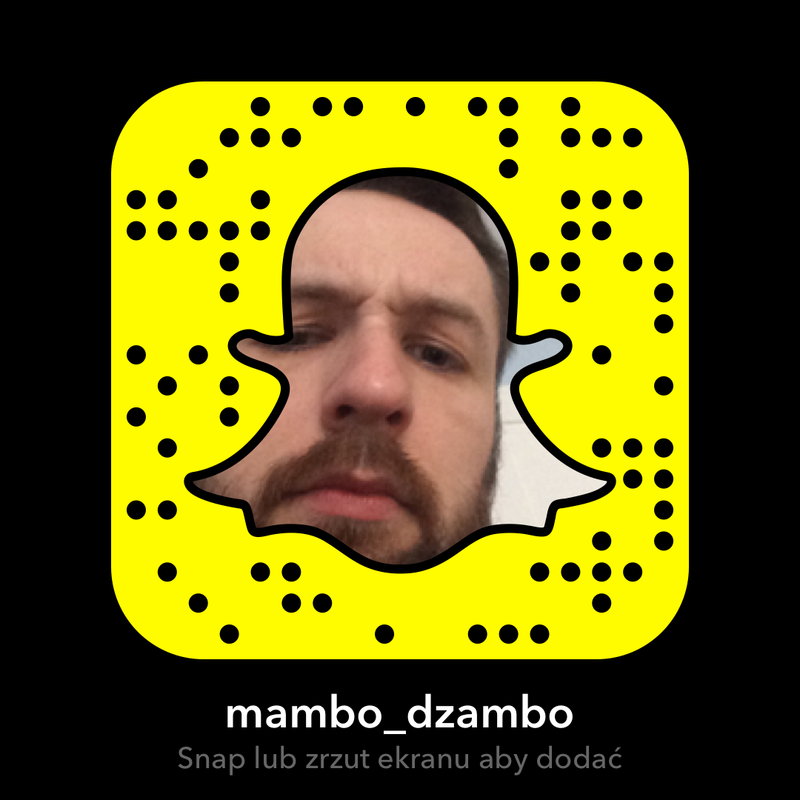 When I write some code of our internal projects, I like to show it to Snapchat. I show some other parts of my “programming company CEO” life — writing blogposts. The post you’re reading was shown to snapchat several times before it was published. I document our progress with the new course we’re teaching — the Junior Rails Developer class (book/video/Slack based). Snapchat creates this “behind the scenes” effect of many activities. What do other fellow programmers post? Apart from posting code, they post how they brew coffee (many coffee geeks in my circles), how they run, how they go through the city. Here is a list of other developers, whom I can recommend to follow at the beginning. How can you help with the Snapchat experiment? 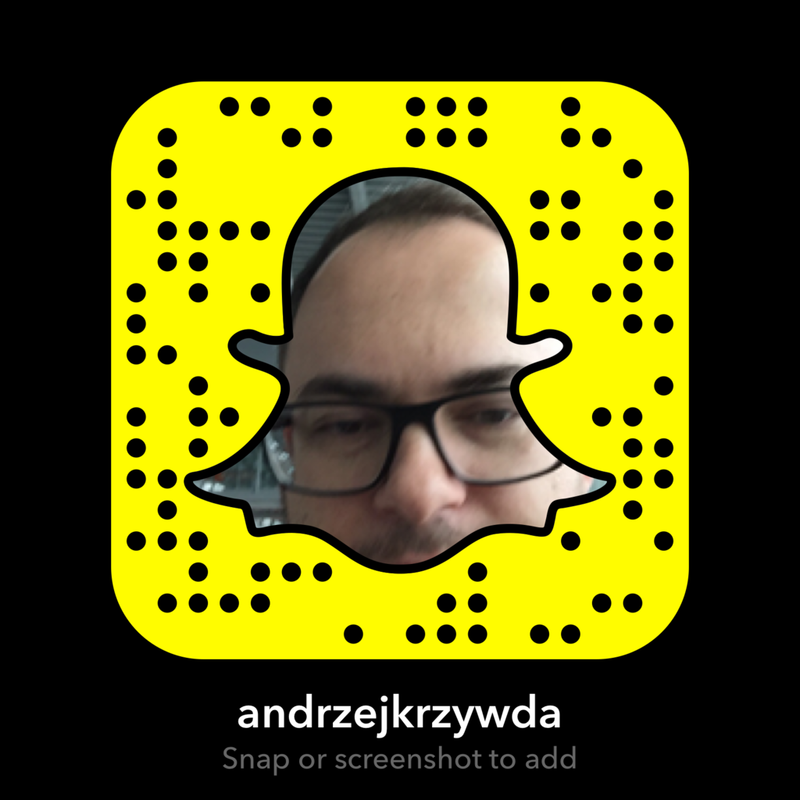 Find interesting ways to share programming oriented knowledge on Snapchat. Maybe it’s explaining some concepts on the video? (people seem to like it the most) Maybe post pictures of some code snippets? On the mission to improve programming quality in the whole world.